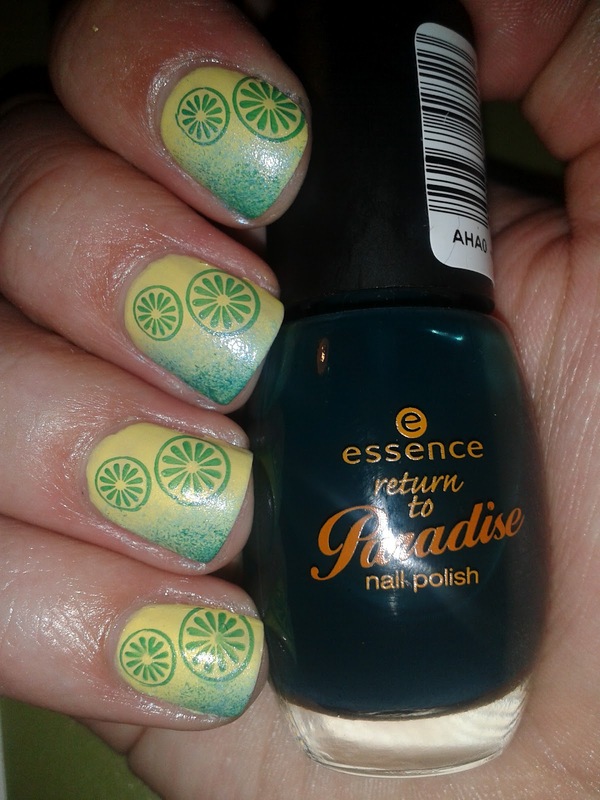 For today I have prepared a manicure from awesome spring challenge. 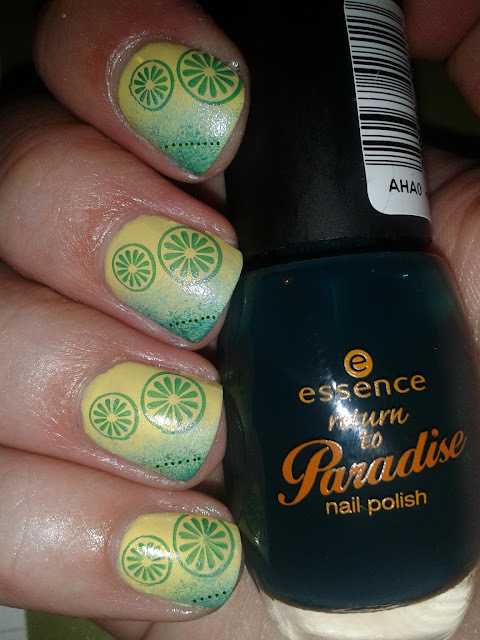 Because I thought I know all the challenges right, I didn't check the instructions before making the manicure, and I made a "little" fail. I forgot to include dots =(. I'm really sorry about that, but by the time I realised that, my nails were already coloured with another polish, so I wasn't able to change it. Because I didn't want to be without dots I cheated a bit and added them with a program, but only on one picture, so you can see my real manicure =). I'm really sorry abut the dots. I hope I'll be forgiven. Sponging done perfectly. Love your manicure. I love these with and without dots! Great sponging, I can never get mine so nice. Maybe the center of your fruit slices can count as dots? I love your stamping! Good job! They are very cute!